Looking for the thrill of fresh air and fun? RENT A BIKE!!! we carry FELT mountain bikes to inspire and engage you in the "feel the wind in my hair", or "thru my helmet" kind of ride. 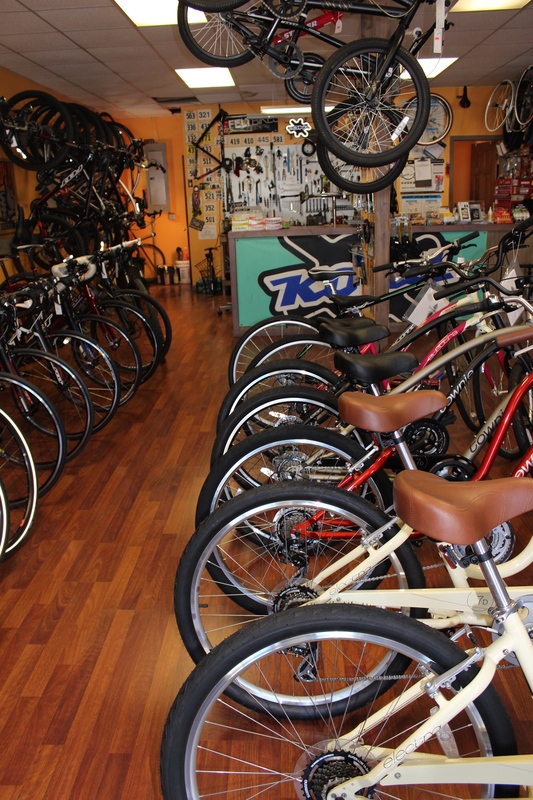 Create a day of fun and freedom when you rent our bikes for an hour or a day! For those visiting the fabulous Hudson Valley, staying at one of the beautiful, chic or historical B&B's or Inns, why not rent an afternoon cycling adventure, to suit your idea of fun. 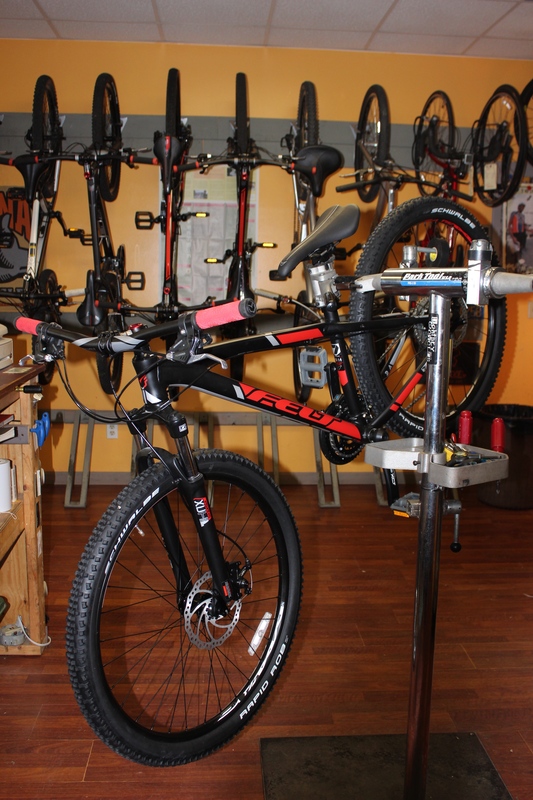 Let us set you and yours up with a mountain bike fitted for your body. There are helmets and car racks available, if needed, and water and powerbars at hand. Drive up into the mountains and take a tour on numerous carriage roads with your rental bikes. From here, you can step right outside our door, directly onto the Railtrail where miles of trails await you. Cruise along through wooded areas, through fields with spectacular views of the glorious gunks with perhaps a picnic in tow. We are an easy 6 mile ride into the heart of downtown New Paltz known for its historic Huguenot street, SUNY campus , downtown shopping and art scene.